Business processes permeate all aspects of business and it is arguable that if a business is not adopting a business process management approach to realize its strategies, and its subsequent goals and objectives, then the business may reduce its chances of success – even its very survival. By taking a business process management approach, organizations can improve their chances of succeeding in their quests for sustained competitive advantages through greater efficiencies, quality, innovation, and customer responsiveness. In, what is now a highly competitive, global, interconnected and uncertain business environment, there has never been a better time to draw on the advantages offered by applying the BPM discipline to any business or organization anywhere. Jumbo Airlines is a Victorian regional airline providing passenger and freight services to several major towns. It has operated for seven years and is based at Melbourne Airport. Jumbo Airlines offers daily services to Albury, Echuca, Mildura, Portland, Ballarat, Sale, and Lakes Entrance. Its current fleet comprises three twin-engined aircraft each capable of carrying 15 passengers and freight. The airline has plans to expand its operations, when economically viable, to Mount Gambier in South Australia and Orange in New South Wales. However, this will require more aircraft, flight and cabin crews as well as access to airport services and passenger and freight handling organizations. The board of directors recognizes that a return to incremental and consistent profitability is a pre-requisite for expansion so is demanding to see an improvement in the airline’s financial performance. Scott Jamieson has just been appointed by the Board as the new CEO. He has been charged with the responsibility of returning the airline to profitability within 12 months. He wants you to conduct a review of the airline and its operations and to recommend a solution to the most urgent problem confronting the firm. Scott commissioned an overview of the airline and its operations in preparation for a full-scale investigation and recommended a solution to its precarious financial position. Passenger bookings can only be made at travel agents. Each time an agent takes a booking for a Jumbo Airlines flight, the agent sends a reservation booking order to Peter in the form of an email. Peter then forwards the email to Shelley in Accounting, Timothy in Catering, Beth in Scheduling and Jack in Sales and Marketing. Depending on the time of day and flight duration, passengers departing Melbourne Airport may be served either a small refreshment or a limited meal. These are obtained by Jumbo Airlines from an independent commercial catering service. Orders are placed with the catering service on an ad-hoc basis (this would normally be two days prior to the flight departing). Timothy places these orders via telephone, writes them down on a pad and then aggregates all orders together and sends an email to the catering company with a copy sent to Shelley in accounting. This can cause late departures of flights resulting in complaints from passengers, particularly at the very busy Melbourne airport. Also, due to the absence of catering services in some regional centers, it is not always possible to provide refreshments on services traveling to Melbourne. This has caused friction between the airline and its passengers at times, leading to a negative impact on its reputation. Shelley is a very busy woman and receives a huge amount of information from across the organization on a daily basis. This information is either in the form of emails or paper-based invoices. She is often confused by the constant inflow of information received sporadically from the reservations, catering and sales and marketing departments. As a result, Shelley is highly stressed and regularly takes sick leave to cope. All suppliers to the aircraft are asked for to submit solicitations specifically to Shelley at the head office in Melbourne. Anyway a few providers, especially in provincial focuses, every so often conveys paper solicitations to an aircraft delegate at the neighborhood air terminal. The delegate takes a photocopy of the receipt and sends the first to Shelley by means of post. This causes delays in the preparing of these solicitations. Subsequently, the aircraft income can be unfavorably influenced (when solicitations must be paid suddenly) and this, thusly, may result in huge disparities in month to month fiscal summaries. Because of the limited number of aircraft available, it is critical that flights adhere to their scheduled arrival and departure times. Therefore, appropriate scheduling of flights is very important to the efficient operations of the airline. Beth is also responsible for resource allocation in the company which includes maintenance and communication of rosters and hiring/firing of staff. Beth receives details of passenger bookings from Peter in bookings. Based on this information, Beth schedules flights as appropriate and then forwards flight details to Timothy in catering and Jason in maintenance to ensure that all flights are able to depart on time. The past 12 months have seen a significant increase in delayed flights which has resulted in a number of disgruntled customers switching to other airlines. This has directly impacted revenue and profitability. Beth is also seeing a worrying trend emerge where some long term staff is taking an increasing number of sick days which is making staff rostering very difficult. In line with the Civil Aviation Safety Authority (CASA) regulations, commercial passenger aircraft are required to undergo specified maintenance services on set dates. If an aircraft does not undergo scheduled maintenance on those dates it cannot be used, thus causing problems to the airline in maintaining scheduled flights. Jumbo Airlines relies on external contractors to perform these services and if the contractor is unable to meet the schedule, the aircraft involved will be taken off-line, causing problems in maintaining published flight schedules. Details relating to aircraft maintenance are kept in a binder in Jason’s office (in no particular order) and is only referred to if there is a problem with aircraft performance. Jason reports directly to Beth in the scheduling department. As a smaller, regional airline, Jumbo Airlines has been happy to grow the business through ad-hoc advertising (radio and print). After a booking has been taken over the phone, Jack sends details of the booking to Peter via email. Jack is not sure what Peter does with this information and assumes everything is fine unless Peter queries the booking. From a marketing perspective, distribution of information about the timetable, promotions, and relations with travel agents outside the metropolitan area can be difficult. Jumbo Airlines does not have a formal IT department and responsibility for the IT function is jointly shared by each of the managers. If a major IT issue arises, the managers arrange an informal meeting to discuss the best way forward. The ‘minutes’ of these meetings are handwritten and filed in a binder which is kept in Shelley’s office. Head Office and Melbourne Airport offices are equipped with IT facilities. However, because the airline relies on third parties as representatives in regional centers the level of IT sophistication is poor. In most instances, communications are slow, thereby causing problems in the efficient management of flights and passenger bookings. Occasionally information about numbers of passengers, seating allocations, freight loadings, etc. may not be available when required causing potential delays in services. The company has been reluctant to explore potential technological solutions due to the expense associated with research, purchasing costs and implementation. The business experienced strong growth in its first few years and this enabled it to grow quickly. In 2015 things started to change. Sales were down and profits reduced (see profit table below). This decline continued through 2016 and 2017. Scott has heard through the grapevine that some of the larger airlines are planning to offer flights in the regional centers in direct competition with Jumbo Airlines and he is very concerned about the impact of increased competition on the airlines’ deteriorating financial position. Scott believes that excellent customer service is the key to differentiating Jumbo Airlines from its competitors whilst ensuring a viable and sustainable presence in the airline industry. After a series of workshops and discussions, it became clear to Scott that his department managers had lost sight of what the airline was trying to achieve and that if something is not done quickly, receivership is imminent. Scott calls you in as his BPM Consultants to help make sense of the current organizational approach and to provide some preliminary advice about redesigning processes so that the current downward trend in performance can be reversed. He gives you the transcript of the review and provides you with some Balance Sheet items (to help you to form a view of the firm’s position to invest in change). depreciation), investments, patents, trademarks, and goodwill. This assignment must be completed by teams of 3 individuals. Your task is to prepare a preliminary business report for Scott. Scott has an in-house style which he expects for business reports, so the main body of your report must be structured using the following headings. A brief about what each section of the report must address is also provided. If you believe that there is insufficient information on which to carry out your analysis, you may make reasonable assumptions, however, these must be clearly stated. Introduce Scott to Business Process Management by stating in plain terms what it actually is, how it can help the business and why a BPM approach should be adopted by the airline. In describing the benefits of BPM to Scott, ensure that you highlight the strategy being pursued by the airline and how BPM connects to this strategy (internal and external perspectives). You are also required to address positioning, structure and value proposition. Briefly describe the meaning of value chains and how using BPM, in conjunction with this concept, can assist Scott to improve the business. Clearly articulate the strategy that you believe Scott should be following and provide a justification for your view. Advise Scott what it means to develop a ‘business process architecture’ and how it can add value to the company. Are there any key aspects in your proposed solution that you should clearly describe to Scott, for example SOA; ERP; Master Data; Core, Support and Management processes; alignment issues; etc? Based on the information provided in your proposed solution you must also include a fully annotated organizational structure. Large BPM driven organizational changes can be extremely valuable, they are also complex undertakings impacting the organization, its people and its use of modern technologies. Identify and briefly describe significant considerations that might impact Jumbo Airlines, both during the redesign development stage and upon the implementation of your proposed solution. Some considerations might pertain to the costs of bridging the gap (time, effort, money, etc. ), risks, opportunity costs, politics, etc. You are to specifically address any upstream or downstream implications (within or outside the organization) of the solution you have proposed, citing why these implications are important. You may include a brief executive summary, table of contents and brief appendices. Do not include extensive appendices – this is a preliminary report – extensive appendices may result in a reduction of marks. Use the section headings above to structure the main body of your report (you should not need sub-headings). Scott will not read the report if it does not use the above headings in the body of your report. Scott wants to see a reasonable use of references. While textbook references can be used, Scott would prefer that you use industry research reports, case studies and any other industry-based evidence which can justify why the organization should implement your proposed BPM solution. The report must be no longer than 2,000 words (approximately 4 to 5 pages of words, but by including diagrams and any other graphics or figures it will be considerably longer. Words in diagrams such as the Gap Model, Project Scoping Diagram and As-Is and To-Be process diagrams will not be included in the word count provided they are used to explain the necessary steps and highlight critical information. If paragraphs of text are included in these diagrams, they will be included in the word count. Words in tables are included in the word count of the main body of your report. Note that the 2,000-word count does not include your cover page, your executive summary, your reference list or your appendices. It is expected that you and your partners will contribute significantly and equally to the team’s efforts and will, therefore, receive 100% of the final assignment mark out of 40. However, if you do not make a significant contribution you will receive less than 100% of the assignment mark. In particular, in the past, some members of some teams have only made a contribution in the last few days before submission – they are usually awarded a very low percentage of the assignment mark, sometimes 0%. Also, note that it is not sufficient to simply research aspects of the solution that your team proposes without also contributing to the overall final report. You must normally make regular, at least weekly, contributions to the work; if you are unable to do so you must make necessary arrangements with your partners. Other team-working skills may be discussed in seminars and online in Cloud Deakin. In case of dispute, your seminar facilitator will be able to provide advice on determining each team member’s contribution, and may in certain instances intervene to determine the allocations. Individuals will be awarded a percentage of the final team mark based on the proportions reported, with the student(s) receiving the highest proportion obtaining 100% of the team marks and all other team members receiving a proportional allocation. For example, if the team above obtained a team mark of 32/40, both team members would receive the full 32 marks (they contributed equally). A ‘Written Assignment’ link is in the ‘Unit Assessment’ area in the MPM701 Cloud Deakin site (in the Unit Resources folder) and it accessible to all students enrolled in MPM701. 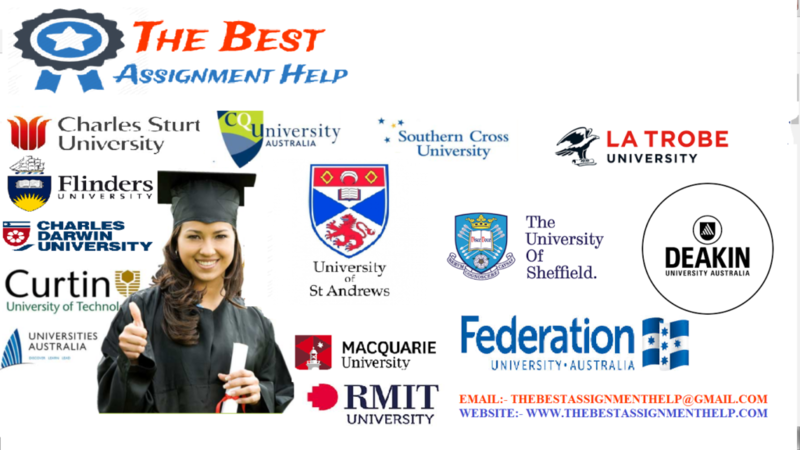 The written assignment area contains resources to support your work for this assignment. The Written Assignment area contains a Written Assignment Discussion area for questions and discussions of a general nature about the assignment. It is open to all students so that all students can benefit. (Up to 5 marks may be lost if these instructions are not followed correctly) Your work must be submitted in accordance with the instructions shown below. You lodge your assignment via the ‘Drop Box’ which is accessible in the Written Assignment area of the MPM701 Cloud Deakin site. Submit the Word document (preliminary business report) via the Written Assignment Submission Only ONE member of the team completes this step – that is, there must be only one submission from the group.